The Edward Everett School wants to expand environmental science instruction through hands on multi-sensory experiences, which will enhance students’ lasting understanding of science concepts. 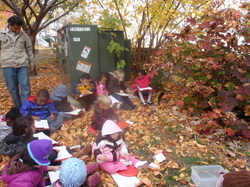 This website is dedicated to our continuing study of our school's trees and bushes. Each classroom participates in a year long study of its plant.